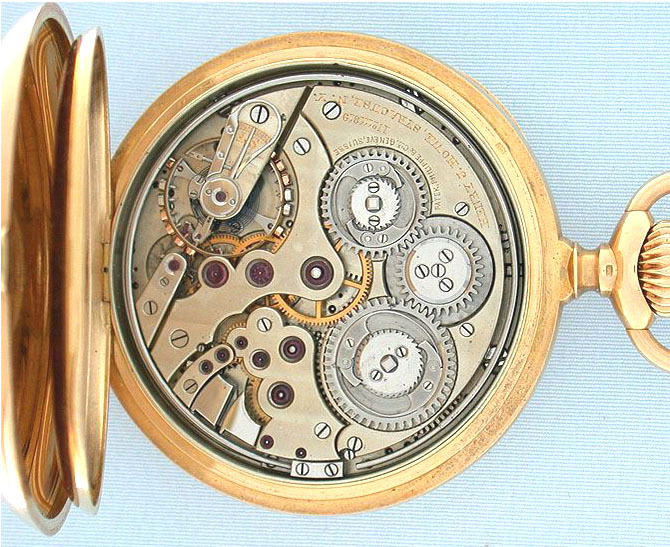 Very fine and extremely rare Patek Philippe large and heavy 18K gold tandem wind "trip" minute repeater circa 1900. 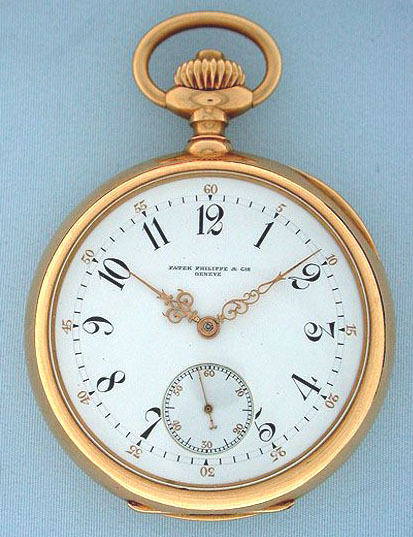 Fine white enamel dial with black and gold numerals and fancy gold hands. Plain polish case with polychrome enamel monogram. Highestquality 19 ligne nickel 36 jewel movement jeweled to the hammers and the center with precision regulator, the balance with gold and platinum screws. 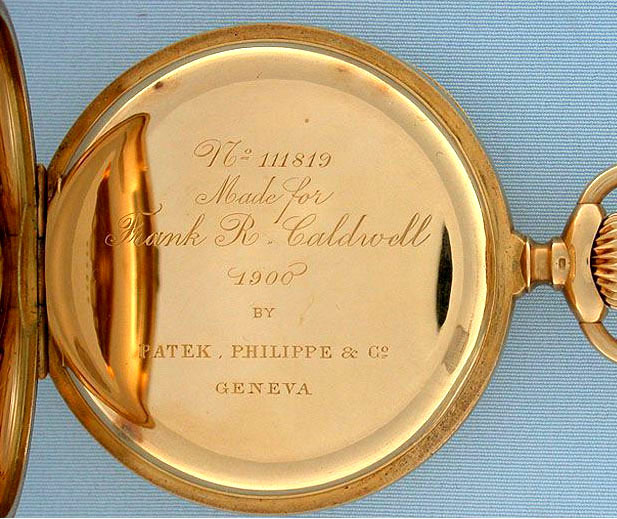 Case, dial and movement signed Patek Philippe. This watch is in wonderful condition throughout. 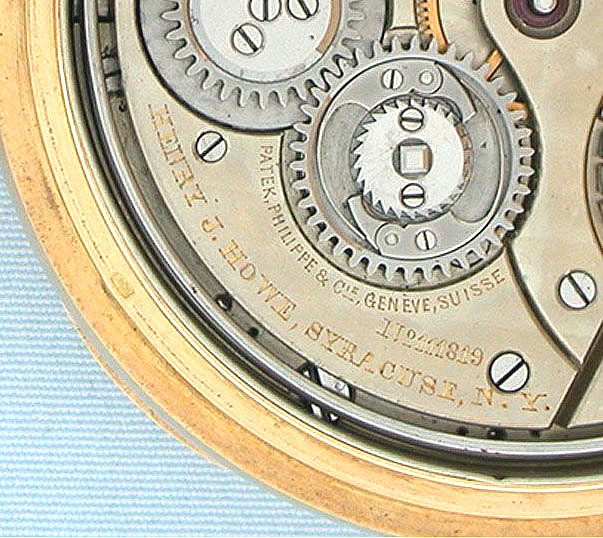 Traditional repeaters have a short repeater mainspring that is wound when the mechanism is cocked. On this watch the repeater mainspring is long and is wound along with the time mainspring. To sound this repeater, a small button in the crown is depressed which trips the repeater train and allows it to chime the time. Patek Philippe started making double-train trip repeaters around 1900 and continued making them, in very limited quantities, over the next 25 years. According to published estimates there are fewer than thirty of them known. 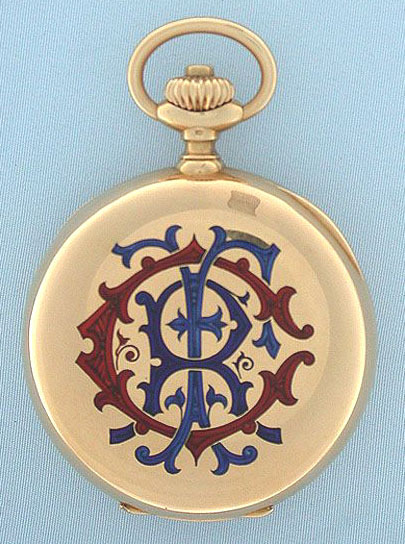 Most of these are relatively small, and trip minute repeaters of this large size and heavy weight are particularly rare.